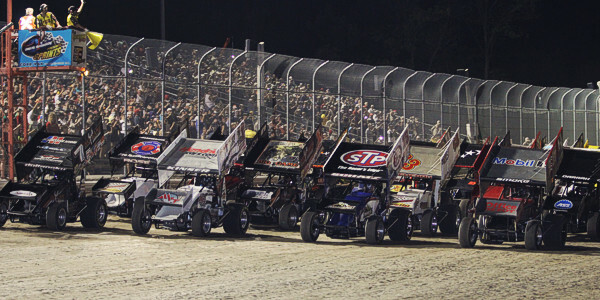 Ohsweken, Ontario – May 16, 2013 – Ohsweken Speedway’s 18th annual Opening Night will take the green flag on Friday, May 17 at 7:30pm, and large fields are expected in all of the regular Friday night divisions. The opening event of Ohsweken’s season will include the Corr/Pak Merchandising Sprint Cars, Affordable Towing & Recovery Thunder Stocks, HRW Automotive Mini Stocks, and Gale’s Auto Aftermarket Bombers, with extra-distance features on tap for each. Fenwick driver Chris Steele enters the Sprint Car season opener with a target on his back, as he claimed the 2012 track championship. Past champions Keith Dempster, Tom Huppunen, Dave Dykstra, and Jim Huppunen are just a few of the many drivers capable of challenging for this year’s title, along with 2012 feature winners Glenn Styres, Travis Cunningham, and Dain Naida, past winners Mikey Kruchka, Mitch Brown, Jamie Collard, and Kyle Patrick, plus many more. Caledonia’s Mike Thorne took his second consecutive Thunder Stock title in 2012, but he will definitely have competition for the 2013 crown. Record fields were seen in the Thunder Stock division last year, and more of the same is expected in 2013, with almost 40 drivers already registered. Challengers for the title could include 2012 feature winners Brad Herron, Jack Myers, Wyatt Van Wart, and Cory Turner, to name just a few. Dundas driver Karl Sault has won the last two Mini Stock titles, but he has moved to Thunder Stocks this season, leaving the door open for a new champion. Several other 2012 contenders have also moved to other divisions, or retired, making the Mini Stocks a guessing game this year. Jason Lungaro finished 3rd in the standings last season and won 2 features, making him one of the drivers to watch, but a host of rookies and new cars will make things interesting, along with veterans like Steve Miller, David Goodacre, and 2004 champion Doug Erskine. The Bombers have become an affordable way for drivers to get involved in racing, and the division has graduated many of them to other Ohsweken classes. 2012 champion Davey Boughton has moved to the Mini Stock division for 2013, leaving the door open for a new Bomber champ. Kathi Dickie won two Bomber features last season, and has also moved to Mini Stocks, along with Jeremy May, who finished 6th in the Bomber standings last year. Plenty of talent will be in the Bomber field though, as 2012 winners Max Chechalk, Dusty DeBoer, Brady Longboat, and Mark Bazuin are a few of the drivers expected to race each week. The long-awaited return of Sportsman cars to Ohsweken Speedway is coming up next Friday, May 24 when Grisdale Racing Products presents the Sportsman Shootout, featuring regular racing for the Corr/Pak Merchandising Sprint Cars, Affordable Towing & Recovery Thunder Stocks, HRW Automotive Mini Stocks, and Gale’s Auto Aftermarket Bombers, plus a full program for Sportsman racers including a 30 lap feature. HGTV’s Bryan Baeumler Meet & Greet BBQ presented by Insta-Insulation is also just around the corner, with advance tickets available for the May 31 event. Visit www.OhswekenSpeedway.com for more information. 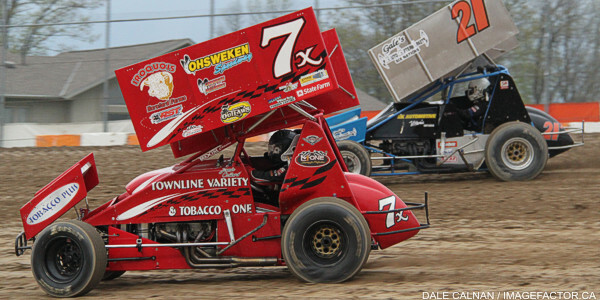 Ohsweken Speedway has two custom-built two-seater Sprint Cars available each race night for rides. Please visit www.OhswekenTwoSeater.com to learn how you can take the ride of your life with one of the stars of the Corr/Pak Merchandising Sprint Car division! Weekly Friday night racing at Ohsweken offers affordable, exciting, family entertainment just a short drive from many Mid-Western Ontario locations. Weekly Friday night racing adult general admission is just $12, while seniors and students are $10, and kids age 12 and under are FREE! Spectator gates open @ 6:00p.m., with the first race taking the green flag at 7:30pm this Friday, May 17! Visit the new official Ohsweken Speedway website at www.OhswekenSpeedway.com and Feel The Excitement!